EL-6010-4K22 är en multi-format scaler och/eller presentations switch som kan skala upp/ner/omvandla HDMI, VGA och Displayport signaler till HDMI i en rad olika upplösningar upp till [email protected] (YUV 4:4:4). Swichen / Scalen har även möjligheter för att förändra kontrast, ljusstyrka med mera för att förbättra bilden. Enheten kan kontrolleras genom frontpanelen ( med OSD ), WebbGUI, fjärrkontroll, telnet och RS-232. 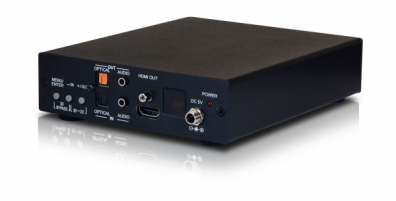 ?The EL-6010-4K22 is a multi-format scaler with HDMI, VGA, and DisplayPort inputs scaling to the HDMI output. 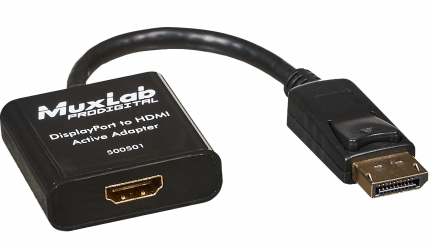 Ideal for boardroom or classroom applications, this device is designed to enable an installer to scale the input from the connected source device to a HDMI resolution suitable for the connected HDMI display. The maximum output resolution supported is [email protected] (YUV 4:4:4). This unit also features a selection of adjustment options you are likely to need when accommodating different sources including a wide array of aspect ratio settings as well as contrast, brightness, saturation, hue, and sharpness settings directly on the device. 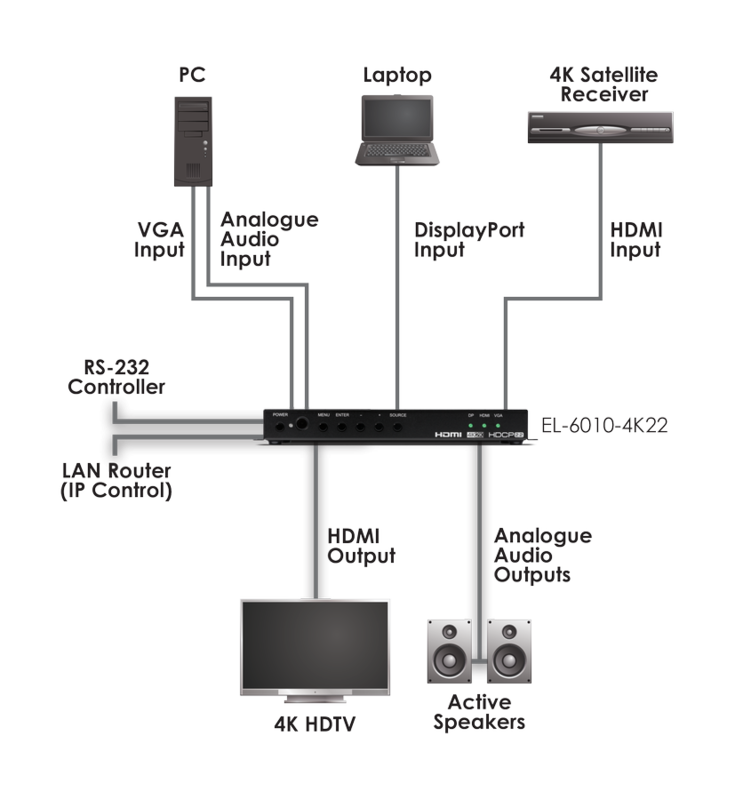 In addition, the EL-6010-4K22 has an analogue speaker output for ease of integration when employed in conference centres, classrooms and public venues. The auto source detection feature is designed to switch to the most recently connected source automatically and to switch to another live input if the current one becomes disconnected. This unit is controllable via front panel controls (with OSD), WebGUI, IR remote, telnet and RS-232. These comprehensive control interfaces make operation easy and intuitive.